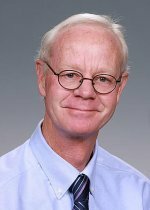 Congratulations to Dr. William Morgan, Pacific Northwest National Laboratory, who was elected to the Main Commission of the International Commission on Radiological Protection (ICRP) at its Main Commission Meeting April 17-21 in Seoul, Korea. He was also named Chair of the ICRP's committee on Radiation Effects. Morgan will succeed Dr. Julian Preston, Associate Director for Health, National Health and Environmental Effects Research Laboratory, U.S. Environmental Protection Agency on October 31, 2011. The ICRP is an independent, international organization that advances the science of radiological protection for the general public; in particular, by providing recommendations and guidance on all aspects of protection against ionizing radiation. The Radiation Effects Committee considers cancer and heritable disease risk together with the underlying mechanisms of radiation action. It also considers the risks, severity, and mechanisms of induction of tissue/organ damage and developmental defects. The committee consists of 20 radiation experts from 12 countries. Morgan has served on the committee since 2005 and is currently vice-chairman. During his 30-year career, Morgan has gained an international reputation as a leading researcher in the fields of radiation biology and the long-term biological effects of radiation exposure. He is Director of Radiation Biology and Biophysics at PNNL, where he leads PNNL's Low Dose Radiation Research Program Scientific Focus Area, sponsored by the Department of Energy Office of Biological and Environmental Research. The PNNL program is focused on the effects of radiation exposure on human skin. Morgan also holds adjunct appointments at Washington State University-Tri-Cities and the University of Washington. He has authored or co-authored 130 publications and 53 book chapters, and proceedings papers.